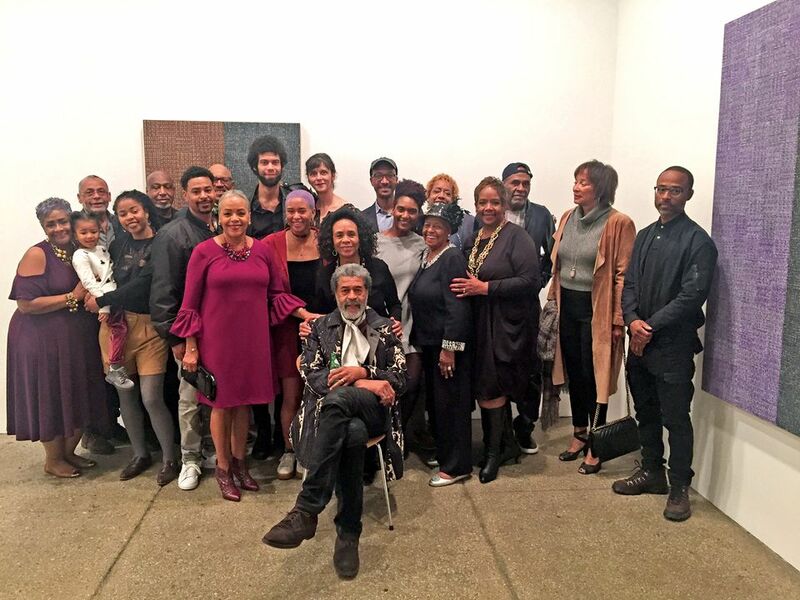 The Chicago-based painter McArthur Binion is one of 11 children, born and raised in Macon, Mississippi, at a rural address known simply as Route One, Box Two. As a young man, Binion had to learn to filter out the sights and sounds of his large family in order to concentrate. This sense of focus is palpably present in his recent show at Galerie Lelong, titled after his old address, in which photographs of his childhood home appear beneath obsessively methodical grids of paint. It was fitting, then, that one table at the dinner celebrating the exhibition’s opening was filled with Binion’s brothers and sisters, who came from around the country for the opening. “It was wonderful having my family there,” he said afterward. When asked whether they played any role in the genesis of the paintings on view at the gallery, he said: “Only the fact that nine out of 11 siblings were born inside Route One, Box Two.” Apparently a couple were born after the family moved to Detroit, suggesting that he’d become very adept indeed at tuning them out.